The National Weather Service is predicting a second straight year of La Niña conditions in the Northwest. This means a warmer, but wetter Winter lies ahead, if such a thing is even imaginable. Northwesterners famously love being outdoors sans bumbershoots (that’s an umbrella for those who live elsewhere), hiking throughout Winter with little but Gortex and beanies between them and the elements. Think of it as the cool weather version of what happens in Florida. Instead of resigning oneself to being sweaty and sticky continuously, citizens of Oregon, Washington and British Columbia exist with dewy, rain slicked skin for much of the season. It’s why everyone has such a nice complexion. You see the same effect in places like Ireland and Scotland. But back to the point of travel. While these committed outdoors-people don’t mind hiking in the rain, most would rather not sleep in it. 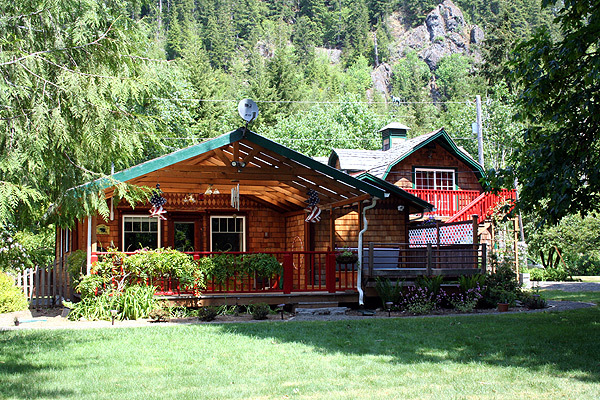 There are many cabins available to rent, either through the parks system or privately, but not all offer comforts or scenery worth shelling out money for. In fact, it can be surprisingly difficult to track down the perfect home away from home and when the weather is unpredictable, it’s good to have a place you won’t mind spending all day in. 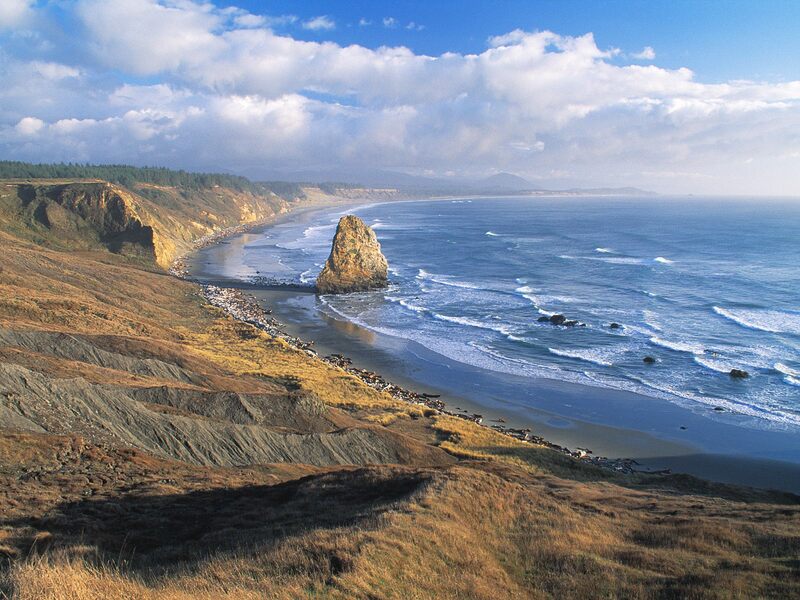 Located on the Southern Oregon coast, it’s not really close to anything and that’s the appeal. 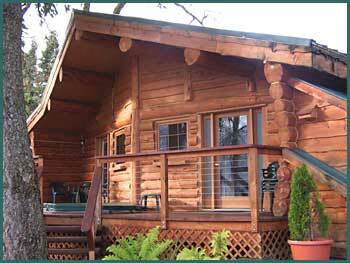 Only four cabins are available at the state campground so reserve well in advance. They are sparse, but have electricity, a picnic table and an ocean view. Forks is not just for Twilight fans. With the amazing and beautiful Hoh Rainforest nearby as well as the Sol Duc Hot Springs, fly fishing and more hikes than anyone could finish on a normal vacation, this area offers so much more than vampires and wolf boys. 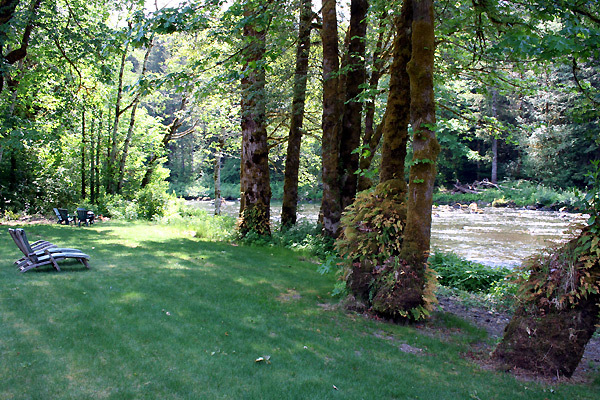 The cabins themselves are located along the river and two of the three have hot tubs and full kitchens, plus a horseshoe pit. The Columbia Gorge, snuggled in between Oregon and Washington has been hailed over and over for being a heaven for lovers of outdoor activities of all kinds. With hiking, skiing, windsurfing, fishing, biking, kayaking and rock climbing just at the start of the list it’s easy to see why this area is continually on “best of” lists for outdoor recreation. Throw in some great breweries in Stevenson (Walking Man) and nearby Hood River (Full Sail, Double Mountain) and a personal favorite in Parkdale (Elliot Glacier Public House, which has the most stunning back yard view of any brewery: Mt. Hood at almost arms length) and there’s a lot to keep you away from your cabin. But given the fact that this group of cabins, 8 cabins or rooms in all, can provide in room massages too, then why bother? 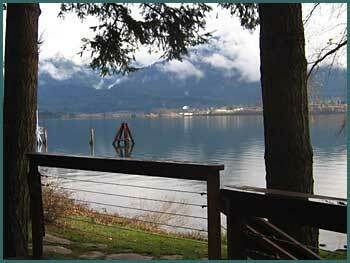 Located in the often overlooked town of Stevenson, it’s close to everything fun to do in the Gorge. It’s also close to a railroad crossing (the Gorge is a major railway artery) which may mean that you hear some old-fashioned train whistles at night, but it also keeps the rates down. One of the best vacations I’ve ever had in my life happened at this house. 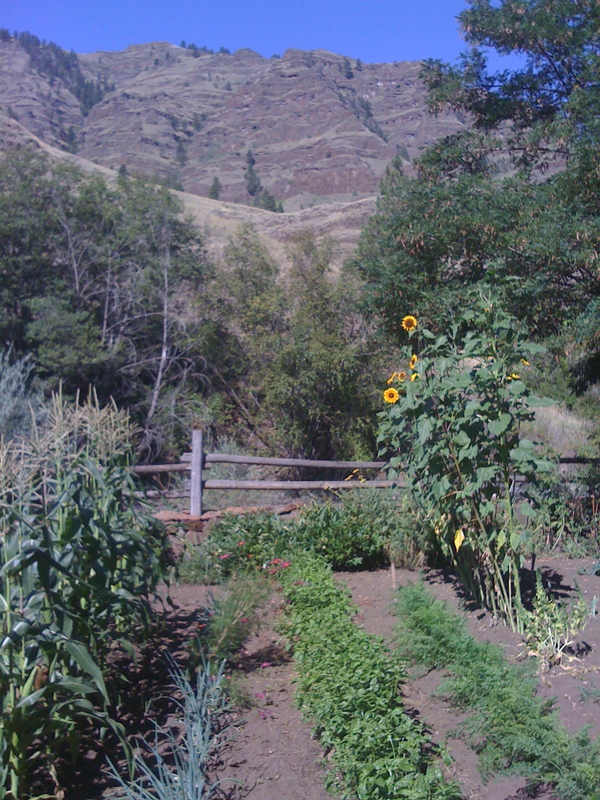 It’s in the teeny tiny town of Imnaha, Oregon in the Northeastern corner of the state. The pavement literally ends at this town and just outside it lies this home. The owners live in nearby Joseph and raised their children here. It feels like a family home, in the best sense. There’s a fire pit, swimming hole in the river made from strategically placed rocks, large yard, huge porch, fire pit, garden and orchard. It’s the perfect place to pretend that the world doesn’t exist. Trout swim in the river and a couple of them grilled and served with fried eggs makes a perfect breakfast. You could go hiking or exploring in the nearby Wallowas or make a day trip into the neighboring Hell’s Canyon Recreation Area, but you will likely do what my family and our friends did which was absolutely nothing. We played cards, fished in the river, baked a pie, drank wine and talked until the bats came out. The world outside did indeed disappear for a few days and sometimes that’s all you need from a cabin.